The Trench was a collaboration between Cornwall’s Regimental Museum, Bodmin & Wenford Steam Railway, Collective Arts and Bodmin College. Funded by a major grant from the Heritage Lottery Fund, and grants from Arts Council England and Feast, the project had the community at its heart. 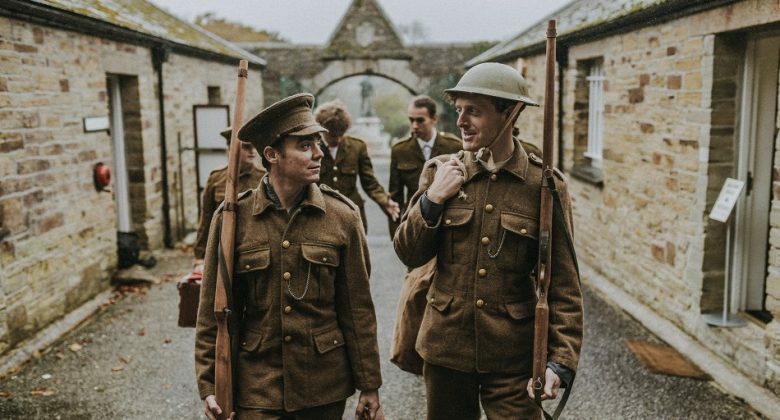 With a script based on real battles fought by the Duke of Cornwall’s Light Infantry, it has, in this 100th anniversary year of the end of WWI, been a unique opportunity to bring to life some of the experiences of those who fought. 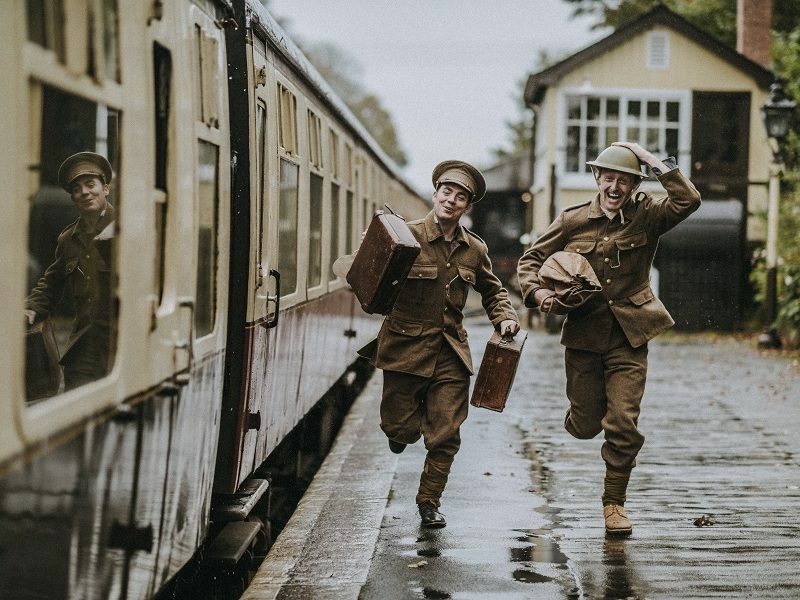 Supported by a small group of professional actors, community performers of all ages and audience members took on the roles of soldiers fighting in the trenches in WWI. Each character in the play was based on a real soldier who had been researched by a team of 30 researchers from the local community, led by a volunteer from Cornwall’s Regimental Museum. Many of these soldiers are those of the Duke of Cornwall’s Light Infantry, and the archives of Cornwall’s Regimental Museum have provided a rich source of information. This has been further supplemented with diligent research using a range of online resources and other archives by the fantastic team of volunteers, including students from Exeter University who undertook research as part of their course assessments. The community has further rallied round by taking on a range of roles as nurses with Wenches in Trenches or working in the Box Office. Audience members ‘enlisted’ at the Museum, where they were issued with kit, and the identity of one of the 80 soldiers who has been researched. The audience were then mustered, handed a rifle and marched down to Bodmin & Wenford Steam Railway. Here they boarded the steam train and travelled to ‘The Trench’. 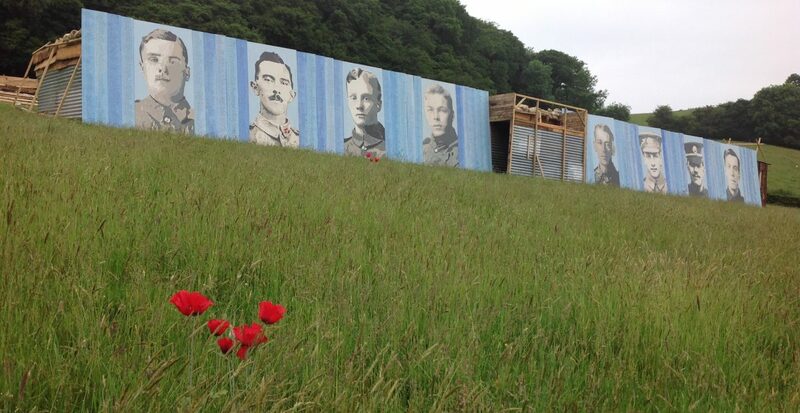 Built on land with kind permission of The Lanhydrock Estate Company, it will give an insight in to the experience of life in a trench complete with noise, explosions….and weather. After returning by steam train to the Museum, you would hear the fate of your soldier, and be able to learn more about them in a specially designed exhibition featuring profiles of the 80 soldiers, and a range of artefacts relating to them not currently displayed in the museum. As well as the main Trench experience, there were also four short plays, which were performed in the historic attic space of Cornwall’s Regimental Museum. They are about DH Lawrence, Harleigh School (the precursor to Bodmin College), Lanhydrock, and women’s experience of WWI. The project has been a fantastic opportunity for the Museum and its partners to work to bring the community together to honour those who served in WWI. All the hard work has helped to commemorate those who served, including the many who lost their lives. The stories of these men will go on to be told long-term through the archives and collections of the Museum which have been greatly enhanced by the information gathered as part of the project.